I’ve always admired people who can pull off caricatures. When done in public it’s performance art that could go horribly wrong if you exaggerate a person’s features to the point of insult. 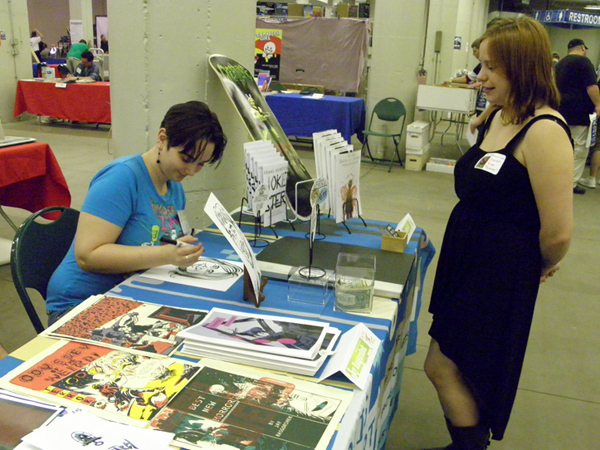 Just a couple weeks ago recent MCAD grad Kirsten Bonafield did an exceptional job of it at her table at SpringCon. 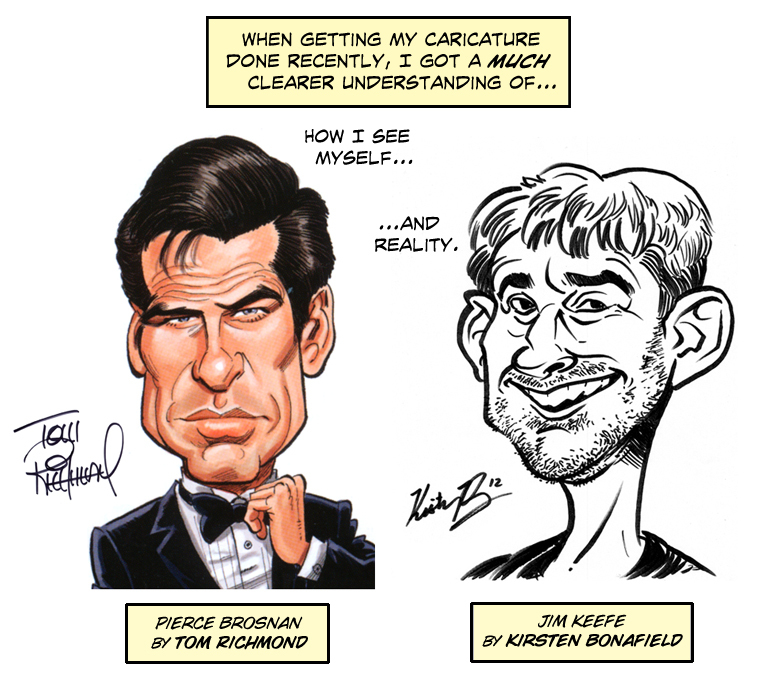 One of the masters of caricature is Tom Richmond – so much so in fact that Tom was recently voted Outstanding Cartoonist of the Year by the National Cartoonist Society. 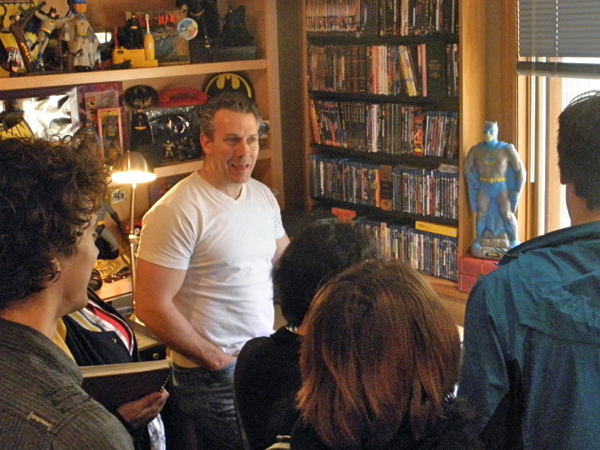 Tom Richmond in his studio giving a talk to my MCAD Pro Practice class. This entry was posted in Artists - Cartoonists, Tom Richmond and tagged Kirsten Bonafield, Tom Richmond. Bookmark the permalink.